I suppose it is time for another post about fitness and lifestyle changes. As I mentioned in my first/previous post, I do not diet; I lifestyle change. I honestly detest the word. Maybe that’s why I’m more of a “classy” girl, at least that is what I think. I don’t really give into a bunch of fads (occasionally I do, like the pleather pants fad back in elementary school). I like things that are timeless. Growing up, I semi-thought I ate healthy and thought I was in good shape. I lied to myself. I knew I didn’t have the best fitness lifestyle, but I sorta “tried.” I played volleyball, basketball, and softball in middle school and some of high school. I kept a water bottle with me everywhere I went. Some days, I would go on a run down the road by my house and then go in my room and do some exercises I found in magazines. All of this led no where. You need to change not hope for the change. Actually do something and stick to it. Start slow if you need to or do it all at once. None of your working out really amounts to much when you still drink pop, eat chips, candy, etc. Thus, I had low self-esteem. It’s a horrible thing to have. It’s a disease I tell you. Even now, I still do have a low opinion of myself sometimes. I question what I am able to do. I question the people I meet and if they really do “like” me or if they put up a front. I question who my friends are and why they are my friends. I even question why my husband fell in love with me. I question why he still loves me. I know none of these really should have to do with looks, but more with who I am on the inside, but low self-esteem plagues the person in every facet of their being. I look back to my high school days and realize that I’m not really friends with any of the people I wanted and tried to be friends with. I still have some great people that I knew and I know they are genuine. I tried so hard to hang out with certain crowds, but I always left feeling that I hated myself because I was always just “there” never acknowledged. I remember one time they were all talking about a dance coming up and they pretty much all decided to take each other. Did anyone once ever look towards me? No, they did not. And what did I do? I kept quite and made rationalizations for them and for myself. I remember driving home that night and feeling the pain of hate that I had towards my mind, my soul, and my body. No one should EVER feel that way. Especially after hanging out with friends. I sat back and told myself it’ll get better once you go to college. I didn’t hang out with those people much anymore. It wasn’t because of that night either, it was because somethings happened between me and one of my friends and I decided to stop calling to see if they would think to call me, they never did. Basically it was a one sided relationship and I was done trying. The sad thing is most of them were people from church. Luckily, I have a strong conviction and the way people are and how they treat me will never change the way I feel about my savior and his church. I still love them and I am in no way upset. I’m lucky that I had other friends who loved me and my religious beliefs and that’s who I hung out with. I might have made some questionable decisions, but I still turned out alright. I had a great childhood and I had parents and family who loved me. I am very grateful for them and still am. Once I graduated high school and got my associates degree, I went off to college to get my BS . I received them at the same time because I took a test and went to the community college my last two years of high school. One of my best decisions ever. 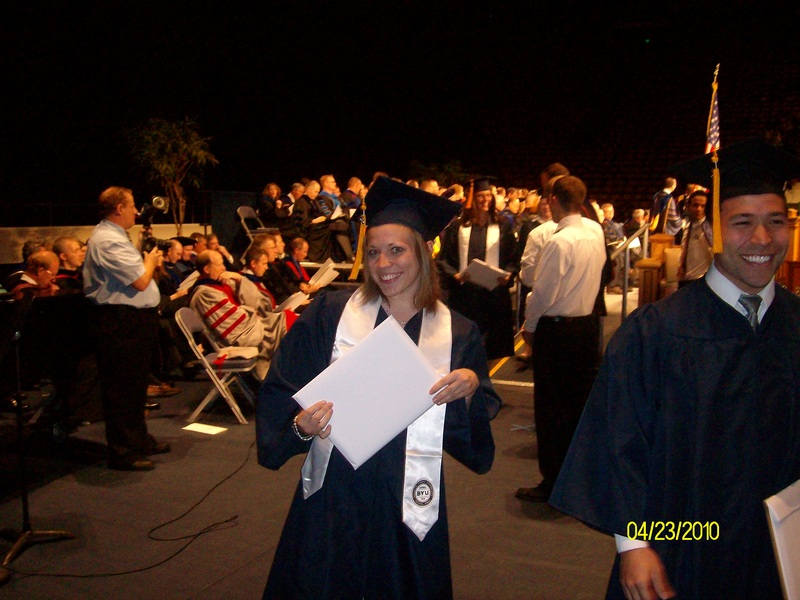 After both graduations, that fall, I left for BYU in Utah. This is where I had many challenges my first semester and where I decided to change my life around. That’s for my next post though. 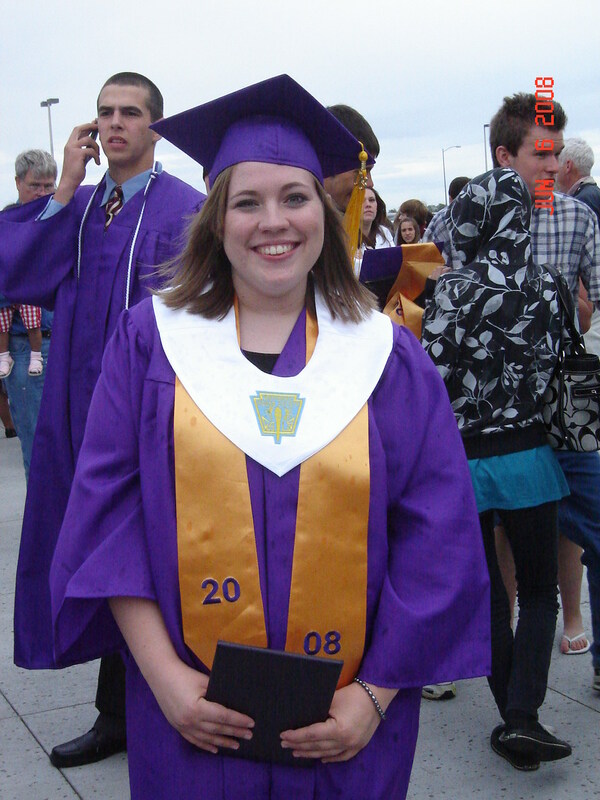 I will leave you with a picture of me from my high school days and a picture of me when I graduated college. I am nervous about doing this, I hate putting myself out there. Honestly, I had this post written for about a week before I mustered up the courage to upload the photos to it and publish it to the blog. June 2008 high school graduation.